That the rural sector is witnessing difficult times cannot be denied. The primary problem with Indian agriculture is that average size of land holding at 2.28 hectares (1970-71) has now halved to 1.08 hectares (2015-16), creating immense pressure on land with persons dependent on agriculture still at 43% of all Indians. Thus, most of the farmers are shifting to cash crops and or allied activities to survive. This problem has been further compounded by marketing interventions of agricultural produce that though being addressed through new initiatives like eNAM are still being inadequate. Against this background, the need for some decisive action by the government to alleviate farm distress has now been universally recognised. Since 2008, beginning with the pan-India waiver for farmers, the cumulative loan waiver is now close to Rs 3 lakh crore. However, this undermines an honest credit culture and impacts credit discipline. Furthermore, if the farm loan waiver amounts are given in yearly instalments, then the banks will not be able to give fresh crop loans to farmers as their existing Kisan Credit Card (KCC) accounts will continue to be NPA category till the date of final receipt of the waiver amount from the respective state governments. What is now disconcerting is that even states with relatively low debt are now announcing loan waivers, indicating that rural distress is all-encompassing and it is high time that we address this problem with greater force. There could be several solutions. First, a price or income support scheme. A price support scheme (gap between MSP and market prices getting reimbursed) like the one unveiled in MP comes with low cost but covers only limited farmers and has several challenges. The most common critique is trader groups might artificially depress prices to be paid to farmers, as they are getting compensated by the difference between MSP and sale price at mandis. The income support scheme is much better and possibly the ideal one as the payment is purely a cash transfer to farmers on a per acre basis – as Telangana is doing. As per our estimates, this scheme if implemented at pan-India level could cost more than Rs 2.5 lakh crore. One way to go forward is to implement a scaled down version, where marginal and small farmers are rewarded individually and the cost comes down dramatically to Rs 60,000-70,000 crore. This could be better than the per acre Telangana scheme which creates a regressive structure where everyone benefits, irrespective of him being a cultivator or not. There are also small tweaks that can extend a little helping hand to the rural sector. First, banks should be permitted to allow review/ renewal of the KCC facility annually upon farmers paying the interest alone. At present, RBI norms mandate repayment of both principal and interest for annual renewal of crop loans. 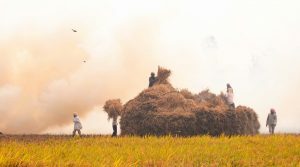 Income from harvesting is mostly received in cash and anecdotal evidence points to these cash flows being used for payment for fertilisers, pesticides, dues to farm labourers and hire charges for tractors. This results in a situation where lumpy cash flows to enable full repayment of the KCC loan at the year end is not practically possible. In any case, such loans for small businesses are treated as standard even if the interest alone is serviced. Second, in the 2018-19 Union Budget it was announced that Niti Aayog in consultation with state governments will evolve a suitable mechanism to enable access for lessee cultivator to formal banking credit without compromising land owners’ rights. It is high time that Niti Aayog and/or the regulator comes out with clear instructions which banks can follow for financing tenant cultivators. Third, currently the hypothecation charge of crops needs to be registered with CERSAI under the relevant rules. This adds to banks’ hassles and adds to costs without any benefit. There has been no recorded instance of enforcement of the security of crops at least as far as the small and marginal farmers are concerned and hence can be done away with. The Pradhan Mantri Fasal Bima Yojana can also be tweaked by ensuring all crops are covered, timely notification and payments among others. Clearly, we can do our bit to help the farm sector! The RBI has reportedly warned the government about the small loans given under the Pradhan Mantri Mudra Yojana to micro enterprises turning into a big problem of non-performing assets (NPAs). While NPAs are bad news anytime, they are all the more unwelcome when NPAs are a major shackle on bank lending, as at present. However, at around Rs 11,000 crore, of a total lending of nearly Rs 2.5 lakh crore under the scheme, bad loans are only 4% of the total lending, far below the bad loan burden on lending to large companies. Caution and better ways of lending to micro enterprises are welcome, but it is too early to conclude that Mudra loans are ripe for a clamp-down. Microfinance companies report, in normal times, recovery rates upwards of 97%. Small borrowers are desperate to maintain access to the rare window of credit that has opened for them, and service their debt diligently. This would apply to micro enterprises as well. Right now, the Mudra Bank gets funds from banks that have failed to meet their priority sector lending obligation at penal, sub-market rates, and refinances at about 4.25% the Mudra loans issued by commercial banks. The government should, in collaboration with the Small Industries Development Bank and the Credit Guarantee Fund Trust for Micro and Small Enterprises, actively consider a bond guarantee fund that would allow small and tiny enterprises to tap the debt market, directly or through intermediaries. Access to formal credit is more important for small enterprises than ultra-low rates of interest. Credit rating of small and micro enterprises will have to go beyond the parameters employed for larger firms, and mine unstructured data on companies, promoters/owners, their relatives, suppliers and customers. हमारे पास अपने विज्ञानसम्मत वैभव के तमाम साक्ष्य हैं। ऐसे में संदिग्ध बातों से सम्मान पाने की क्या जरूरत ? हमारे पास अपने पुराने गौरव के तमाम ऐसे प्रमाण उपलब्ध हैं, जो आधुनिक विज्ञानसम्मत हैं। भारत मिस्र और इराक की प्राचीन सभ्यताओं का उद्गम स्थल था। संभव है कि यह ईसाई और इस्लाम धर्म का भी का उद्गम स्थल हो। प्राचीन काल में यह विश्व का सबसे समृद्ध देश था। अपने पुरातन गौरव से स्वयं को जोड़ने के हमारे सामने दो रास्ते खुले हुए हैं। एक रास्ता यह है कि हम अपने विज्ञानसम्मत वैभव के आधार पर अपने आत्मसम्मान को जागृत करें। दूसरा रास्ता है कि हम टेस्ट ट्यूब बेबी और रावण के हवाई जहाज जैसी बातों पर यकीन करें। इसमें अंतर इतना ही है कि टेस्ट ट्यूब बेबी और हवाई जहाज के हमें कोई पुरातत्व साक्ष्य नहीं मिलते हैं। इसलिए उनके आधार पर आगे बढ़ने से हमारा वैश्विक विद्वानों के बीच उपहास उड़ना स्वाभाविक है। इससे हमारे आत्मसम्मान पर भी चोट पहुंच सकती है। इसलिए हमें विज्ञान के साथ चलना चाहिए। जब हमारे पास अपने विज्ञानसम्मत वैभव के तमाम साक्ष्य उपलब्ध हैं, तो संदिग्ध बातों के आधार पर अपने सम्मान को हासिल करने की जरूरत ही क्या है? अपने हाथ में हीरा हो तो खिड़की के कांच की चमक के आधार पर अपने आत्मसम्मान को बढ़ाने की क्या जरूरत है? इस बहस को निराधार नहीं कहा जा सकता, लेकिन ऐसा भी नहीं है कि दस प्रतिशत आरक्षण से अब तक अनारक्षित रहे लोग लाभान्वित ही नहीं होंगे। यदि 49.5 प्रतिशत आरक्षण उपयुक्त है तो 59.5 प्रतिशत क्यों नहीं है? जहां तक आठ लाख रुपए सालाना आय सीमा का सवाल है तो यही सीमा ओबीसी आरक्षण में क्रीमीलेयर की है। अगर इतनी आय वाले ओबीसी के लोग गरीब माने जा रहे तो अनारक्षित तबके के लोगों को क्यों नहीं माना जा सकता? 1993 में सुप्रीम कोर्ट ने क्रीमीलेयर की आय सीमा एक लाख रुपए तय की थी। यह उन्हीं राजनीतिक दलों के दबाव में बढ़ी, जो आज यह कह रहे हैं कि आठ लाख रुपए सालाना आमदनी वालों को गरीब कैसे कह सकतेे हैं? आखिर ऐसी आपत्ति तब क्यों नहीं उठाई गई, जब क्रीमीलेयर की आय सीमा में वृद्धि की गई? तब क्यों नहीं कहा गया कि गरीबों की रोज की आमदनी तो 50 रुपए से कम है? इस पर आश्चर्य नहीं कि आर्थिक आरक्षण का फैसला होते ही आयकर सीमा बढ़ाने की मांग हो रही है। यह सही है कि आर्थिक आरक्षण में आठ लाख रुपए की सालाना आमदनी परिवार की तय की गई है, व्यक्तिगत नहीं, लेकिन इसके बावजूद इसका औचित्य नहीं कि आयकर सीमा ढाई लाख रुपए ही बनी रहे। शायद इसी कारण सीआईआई की ओर से आयकर सीमा बढ़ाने की मांग की गई। पता नहीं इस पर कितना ध्यान दिया जाएगा, लेकिन यह ध्यान रहे तो बेहतर कि आर्थिक आरक्षण भले ही तात्कालिक तौर पर राजनीतिक और सामाजिक सोच को बदलने वाला फैसला हो, इससे मेधा की अनदेखी होती है। सैद्धांतिक तौर पर आर्थिक रूप से पिछड़े लोग भी आरक्षण के हकदार बनते हैं, लेकिन बड़ा सवाल यह है कि क्या आरक्षण का बढ़ता दायरा देश की मूल समस्याओं का समाधान करने में सक्षम होगा? यह विडंबना ही है कि इस पर कोई बहस नहीं हो रही कि आखिर आरक्षण का बढ़ता दायरा कम या खत्म कैसे होगा? यह ठीक है कि आर्थिक आरक्षण सरकार के राजनीतिक हित साध सकता है, लेकिन क्या वह सामाजिक और राष्ट्रीय हितों को भी पूरा कर सकता है? क्या इससे मेधा का सम्मान होगा और उसका पलायन रुकेगा? वास्तव में ऐसे एक नहीं, अनेक सवाल हैं। इनमें प्रमुख यही है कि क्या युवाओं की बड़ी आबादी के लिए रोजगार के पर्याप्त अवसर हैं? स्पष्ट है कि आर्थिक आरक्षण को राजनीतिक रूप से मास्टरस्ट्रोक बताए जाने के बाद भी यह सवाल अपनी जगह कायम है कि आरक्षण देश को आगे ले जाने में कितना सहायक बनेगा ? In 2010-2013, I was principal designer of three basic income pilots in West Delhi and Madhya Pradesh, in which over 6,000 men, women and children were provided with modest basic incomes, paid in cash, monthly, without conditions. The money was not much, coming to about a third of subsistence. But it was paid individually, with men and women receiving equal amounts and with children receiving half as much, paid to the mother or surrogate mother. The pilots involved the Self-Employed Women’s Association (SEWA) and financial assistance from UNICEF and the UNDP. The outcomes exceeded expectations, partly because everybody in the community, and not just select people, received their own individual transfer. Nutrition improved, sanitation improved, health and health care improved, school attendance and performance improved, women’s status and well-being improved, the position of the disabled and vulnerable groups improved by more than others. And the amount and quality of work improved. Critics said it would be a waste of money, but they were proved wrong. Above all, the basic incomes improved the community spirit and were emancipatory. Those who do not trust people wish to retain paternalistic policies despite decades of evidence that they are woefully inefficient, ineffective, inequitable and open to ridiculously extensive corruption. The tendency of elites to want to have common people grateful to their discretionary benevolence has blocked sensible economic reform. As commentators know, in the 2017 Economic Report tabled by the government there is a chapter on how a basic income could be rolled out across India, and is affordable. Its main author, former Chief Economic Adviser Arvind Subramanian, and others such as Professor Pranab Bardhan have proposed ways of paying for it — primarily by rolling back existing wasteful, distortionary, and mostly regressive subsidies. This should not be an issue to divide the left and right in politics, and it would be wonderful if the main political parties and personalities could come together on it. That is too much to hope. But in this wonderful country, now is a moment of transformative potential. The international debate on basic income has advanced considerably in the past five years. Experiments have been launched in countries of different levels of per capita income, which include Canada, Finland, Kenya, Namibia, the Netherlands, Spain and the U.S., with plans being drawn up in England, Scotland, South Korea and elsewhere. India could take the lead. It has the technological capacity, the financial resources and, above all, the need for a simple, transparent scheme to liberate the energies of the masses now mired in economic insecurity, deprivation and degradation. However, as I wrote after the pilots in Madhya Pradesh were completed, planning the phased implementation of basic income will be a serious but manageable challenge. It will require goodwill, integrity, knowledge and humility about what will be inevitable mistakes. As we found, if properly planned, it is possible to introduce a comprehensive scheme even in rural or urban low-income communities, without too much cost. But it is essential to obtain local cooperation and awareness at the outset, and the backing of key local institutions. It is strongly recommended that if the government is to go ahead, it should phase in the scheme gradually, rolling it out from low-income to higher-income communities, after local officials have been trained and prepared. It is also recommended that the authorities should not select particular types of individuals and give it only to them. It is tempting to say it should go only to women, low-income farmers, or vulnerable social groups. That would be wrong. It would involve expensive and corruptible procedures, and risk evoking resentment in those arbitrarily excluded, who would probably be equally in need, perhaps more so. The same applies to means-testing targeting. That would be a terrible mistake, for the many reasons reiterated in a recent book on basic income. What administrators often do not appreciate enough is that money is fungible. If money is given only to women, men will demand a share; some women will give in, some will resist; it will be divisive. We found in the pilots that if men and women all have an equal individual amount, it promotes better and more equal gender relations. Moreover, giving to all in the community fosters solidarity within households and the wider community, apart from enabling multiplier effects in the local economy. The contrast is bound to be made with the Congress’s promise of farm loan waivers. No doubt this policy would lessen the burden on a hard-pressed social group, and lessen rural poverty, but it is a populist measure. It will be popular, but will not alter structures and is bad economics. Suppose the principle were generalised. If one type of loan could be declared non-repayable, why not others? Unless one can show that a debt is odious or illegal per se, it would be a dangerous precedent to declare that one type of debt and not others need not be repaid. In the long term, financial institutions would be less likely to extend loans to small-scale farmers. Is that the aim? If the loans were made on fair rules, it would be better to enable the debtors to pay them back less onerously. That is why a basic income would be a more equitable and economically rational way of addressing what is undoubtedly an unfolding rural tragedy. The beauty of moving towards a modest basic income would be that all groups would gain. That would not preclude special additional support for those with special needs, nor be any threat to a progressive welfare state in the longterm. It would merely be an anchor of a 21st century income distribution system. Will the politicians show the will to implement it? We need to see.